I thought I’d start a new series called Mailbox Monday but it hasn’t really taken off just yet. Mainly because I forget to post it on Monday and then before you know it, it’s Thursday. 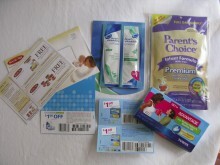 I like to get the free samples because they usually have high value coupons, a really great resource to get coupons sent to you. If they ask for an email address, I use an account that I wouldn’t normally use. This way I avoid email clutter but still get the deals. Here is this weeks Mailbox Monday, Thursday edition! Most of these freebies are still available. 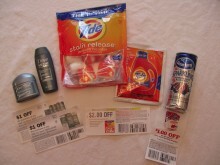 As you can see, most samples come with great coupons! If you’re not taking advantage of these offers, you should!